Is an organization Christian because it works on the Christian mission? Is it Christian because it employs Christians? Is an organization Christian because its corporate life1 models the way of Christ? Is it even possible to speak of an organization as being Christian, or can only people be identified as Christian? This has really important implications for how we lead our ministries, and that is what this series of posts explores. 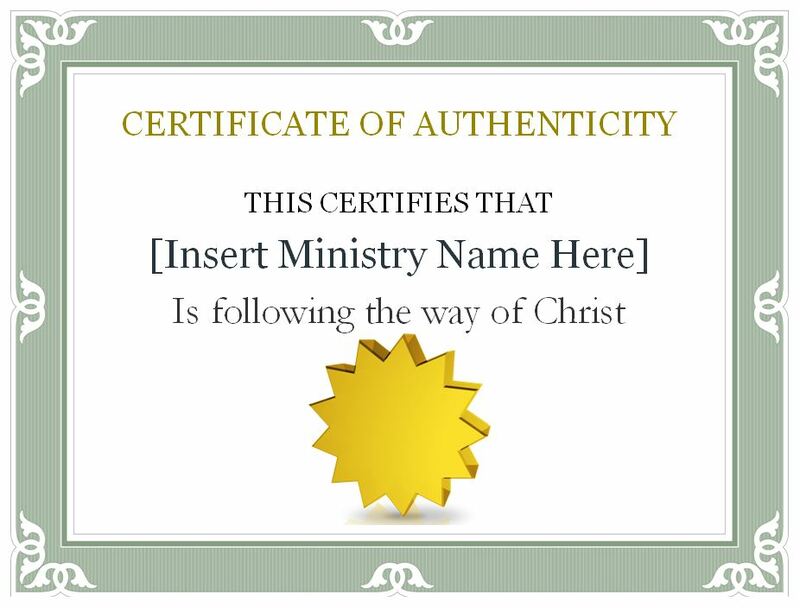 I don’t know about you, but when I think about a Christian ministry, I think of what it does. It’s as if the ministry has no purpose other than to advance the Christian mission. But while God does have a mission for each ministry, I believe God has an even greater purpose for it — to be a light to the nations through its corporate life. The Bible tells how God created a corporate body, Israel, to be a light to the other nations. Its governance and corporate life were not just part of its witness, but the main witness. This is why, in Deuteronomy 17:18, God required the kings to write out a copy of the Law in front of the priests, to ensure they knew his laws, with the expectation that they would rule by them. In the New Testament, much is said about the corporate life of churches. In Acts 15 we see one case where church leadership is a good witness by modeling how to work through issues, and in 1 Corinthians 5:1-2 we see another case where church leadership is a poor witness by failing to deal with issues in the church. Our life together in a corporate body is one of the best witnesses we have as to what life in the kingdom of God looks like. And in this regard, the staff and volunteers of a Christian ministry can be either its greatest asset or its greatest threat, because people give an organization its corporate life, for better or worse. A ministry can be alive to the fullness of God’s daily presence and a credit to our community. Or it can be so spiritually dull that it is no different from a secular charity and possibly even a blemish to our community. Which it will be depends very much on the attitudes and beliefs that guide the behaviour of its people. Both Christians and non-Christians see Christian ministries as representing the Christian faith in action, so many people will form their opinions about our faith based on the behaviour of our ministries. How you do things is as important as what you do. And that brings us to the crux of the issue: your directors and staff are responsible for the public witness of your ministry. I’m not talking about your programs, but about how the directors govern, about how decisions are made at every level, about how issues are dealt with. What happens when things get tough? How do you respond to people, even within the ministry, who don’t act Christ-like? Individual Christians show how Christ can change people; Christian ministries show how he can change society. So what if we paid attention to the witness given by our corporate life? What if we fully exemplified the Sermon on the Mount in our workplaces? What if we exhibited all of the fruit of the Spirit at work, all of the time? What if we perfectly exemplified God’s character? If we attain this lofty vision, how would we answer these two statements about how we run our ministries? And the real question is, What’s holding us back from achieving this vision except our willingness to honestly examine our corporate behaviour? Over the next four weeks, we will be discussing four threats to our corporate witness and four great truths that will overcome them and allow us to present an authentic Christian witness. If we live and work by these four great truths, we will be empowered to achieve far greater mission success. My goal is that your ministry will truly operate in the power of the Holy Spirit as we not only work on the Christian mission, but honour Christ by how we do it! 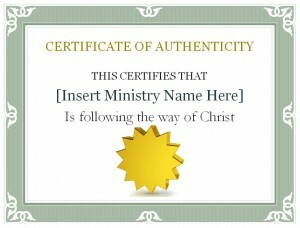 I have an older post “How Christian is my ministry” that is now Part 2 of this series. It describes how you can reverse engineer your theology by examining your ministry’s practices. In other words, it will help you see what your ministry’s corporate witness actually is through the fresh eyes of an outsider who is watching what you do to figure out what you really believe. I suggest you read it before moving on to next week’s post, which is Part 3 of this series. 1. I am using the term corporate not in the sense of a business, but in the sense of people coming together in one body to do something together.